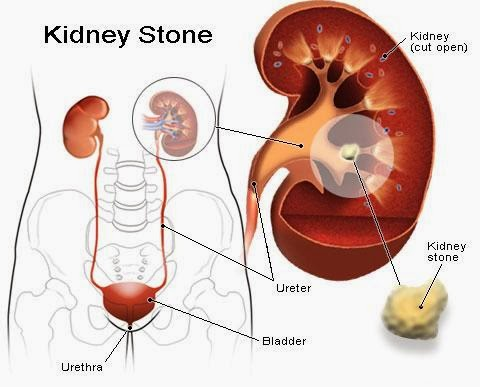 Vivekanantha Homeo Clinic & Psychological Counseling Centre, Chennai: Suffering with recurrent kidney renal stones, is there is any best treatment in homeopathy medicines at Chennai, Tamilnadu? Suffering with recurrent kidney renal stones, is there is any best treatment in homeopathy medicines at Chennai, Tamilnadu? Question: Respected doctor, am 36 years old man, suffering with kidney stones for last 8 year, I feel burning sensation with pain during passing urine, scan reports shows 9mm of stones in both kidney, I already underwent laser treatment for stone removal twice, but am getting recurrent renal stones, this time I don’t like to undergo stone removal laser surgery. i have taken many Allopathy medicine Treatment, but no effect, Why kidney stones comes? Is there is any treatment in Homeopathy system of medicines for kidney stones? The kidney acts as a filter for blood, removing waste products from the body and helping regulate the levels of chemicals important for body function. The urine drains from the kidney into the bladder through a narrow tube called the ureter. When the bladder fills and there is an urge to urinate, the bladder empties through the urethra, a much wider tube than the urethra. And some people, the urine chemicals crystallize and form the beginning, or a nidus, of a kidney stone. These stones are very tiny when they form, smaller than a grain of sand, but gradually they can grow to a quarter inch or larger. The size of the stone doesn't matter as much as where it is located. Heredity: Some people are more susceptible to forming kidney stones, and heredity certainly plays a role. The majority of kidney stones are made of calcium, and hypercalciuria (high levels of calcium in the urine), is a risk factor. The predisposition to high levels of calcium in the urine may be passed on from generation to generation. Some rare hereditary diseases also predisposecystine (an amino acid), oxalate, (a type of salt), and uric acid (as in gout). Geographical location: There is also a geographic predisposition in some people who form kidney stones. There are regional "stone belts," with people living in the Southern United States, having an increased risk. This is likely because of the hot climate, since these people can get dehydrated, and their urine becomes more concentrated, allowing chemicals to come in closer contact and begin forming the nidus of a stone. When a tubular structure is blocked in the body, pain is generated in waves as the body tries to unblock the obstruction. These waves of pain are called colic. The pain is intense and comes on suddenly. It is usually located in the flank or the side of the mid back and radiates to the groin. Those affected cannot find a comfortable position, and many writhe in pain. This is opposed to non-colicky type pain, like appendicitis or pancreatitis, where movement causes increased pain and affected persons hold very still. Sweating, nausea and vomiting are common. Blood may be visible in the urine because the stone has irritated the ureter. Blood in the urine, however, does not always mean a person has a kidney stone. There may be other reasons for the blood, including kidney and bladder infections, trauma, or tumors. Urinalysis with a microscope may detect blood even if it is not appreciated by the naked eye. Sometimes, if the stone causes complete obstruction, there may be no blood in the urine because it cannot get past the stone.